Maca (Peruvian ginseng) is an ancient healing herb. Its root is used for its many health benefits and natural stimulating properties. The Incan civilization used maca root for its special properties that were believed to enhance energy and stamina. Today, people still take it for benefits related to endurance, libido, fertility, mood and energy. 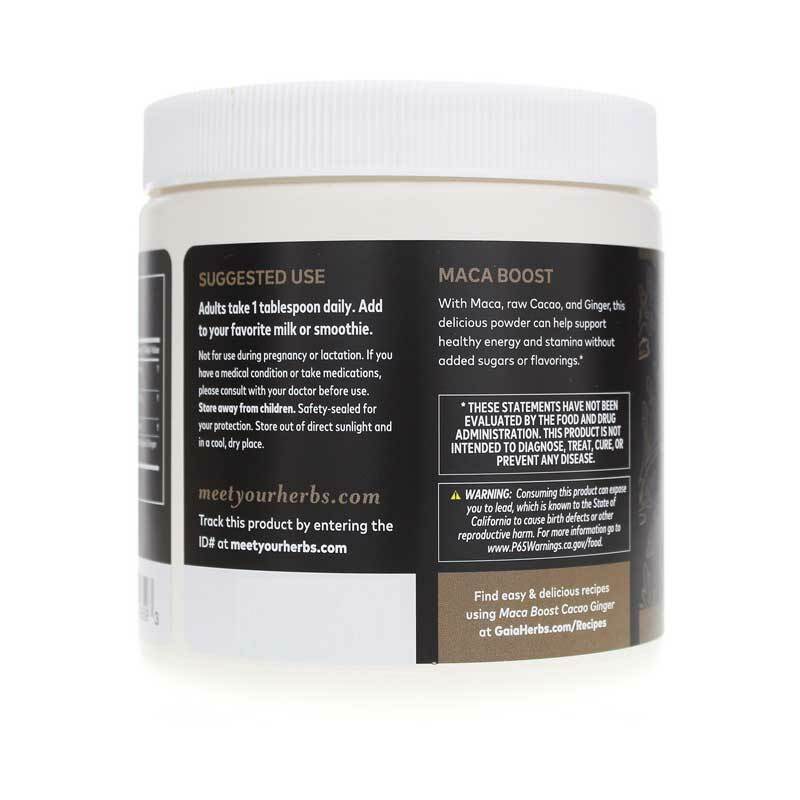 Gaia Herbs offers a natural supplement called MacaBoost Cacao-Ginger that supports energy and stamina. 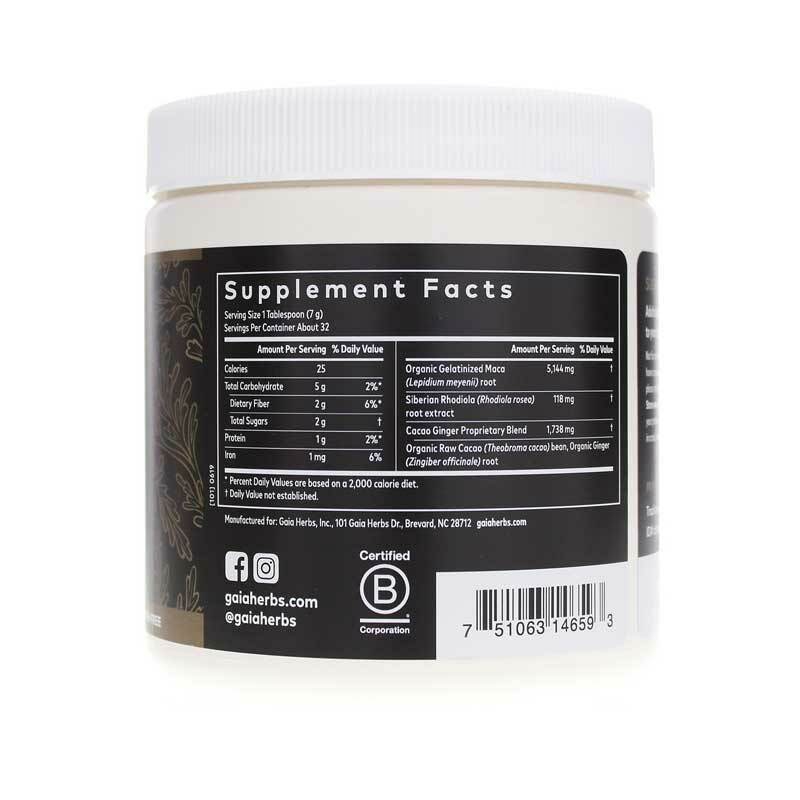 This formula is free of soy, gluten-containing ingredients, flavorings, animal byproducts, added sugar, pesticides and heavy-metal toxicity. Suggested use is to take one heaping teaspoon daily. 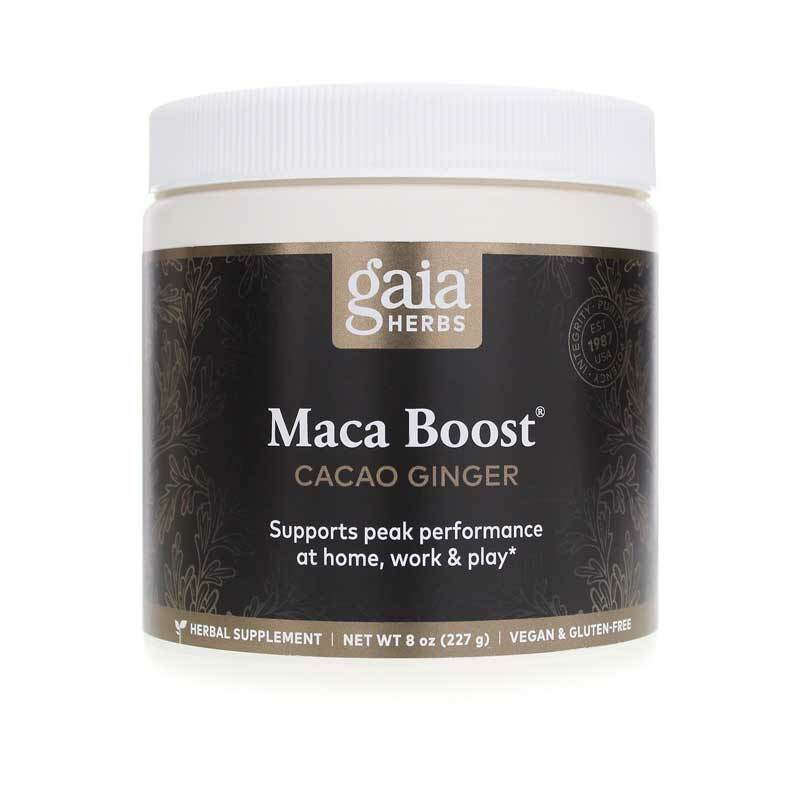 If you're looking for a natural supplement that supports energy and stamina, check into Gaia Herbs' MacaBoost Cacao-Ginger. Order online today! Adults: Take 1 heaping teaspoon daily. Add to a smoothie or your favorite milk. Mix well and enjoy! LOVE!!! This stuff!! It gives me the boost I need to get thru the day! My doctor instructed me to get a product, preferably by Gaia that had the most Maca in the ingredients. This has helped, along with my Flax meal for eliminating my hot flashes. I'm extremely happy with Macaboost. I have been adding this product to my morning smoothie. Nice taste for the smoothie and good energy boost to start the day.